I’m in the process of helping several people get ahead in work and life. It’s given me a chance to do a lot of self-reflection on what really works and what doesn’t. It’s forcing me to dive deep, and figure out what are the people, programs, and experiences that really made a big difference in my life. We all have answers to these questions in some shape or form. Some of the answers are more conscious and deliberate. That’s how we take our game to the next level. And, that’s where these personal development programs help. Personal Power really taught me how to model success, how to unleash what I’m capable of, and how to embrace continuous improvement. My Dad told me about Tony Robbins long ago. He said Robbins would help me think better and learn things faster. My Dad knew that I liked to learn expert techniques and ways to do things better. I was in school at the time. I was not doing well at all in my psychology class. In fact, I was fourth from the bottom out of more than 200 students. I never expected that, but I also realized I had never learned some of the key skills for learning information in a sticky way. After I listened to Personal Power, I learned ways to use my brain more effectively. I learned how to take more effective action. I could spend a lot less time, but get better, faster results. It seemed like magic, but it was really just applied science. I learned to quickly figure out what actually matters, ask better questions, and break things down into more actionable steps. I also learned to study success faster and to find the patterns that work and avoid the patterns that don’t. How well did Personal Power work? Remember how I was #4 from the bottom in my psychology class? I turned it around and ended up #3 from the top. That was just the start though. I later used the program to quickly learn new skills, make a six-figure income, and accelerate my career. I learned to model the best people, the best systems, and the best solutions. I learned to adapt methods and techniques to help me learn faster and leap frog, what often takes years. Personal Power was by far, one of my best investments. It’s paid me back many, many times throughout my life. The Personal Mastery Program taught me how to build better habits through better mental models, and how to spiral up, and avoid spiraling down when hitting stumbling blocks and setbacks. I first saw Srikumar S. Rao in action in his talk on Mental Chatter, Mental Models, and Me-Centered Universe. While some things didn’t resonate, the important things did. I realized that he had an amazing ability to simplify how to look at how we spiral down, and how we can spiral up. And, his insight into our self-talk and how we view the world through our mental models was among the best I’ve heard. I really liked how Professor Rao broke things down, explained things, and turned them into simple ideas and actions. 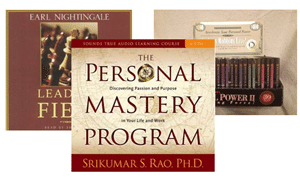 I ended up getting his program, The Personal Mastery Program: Discovering Passion and Purpose in Your Life and Work. 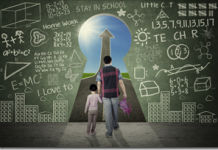 It’s the type of program that creates profound changes, through instant clarity. While there are things you need to work through and take time, Professor Rao sets you up for long-term success by changing your mental models. He first helps you adopt more effective mental models, because when you change how you see things, you change things more effectively. 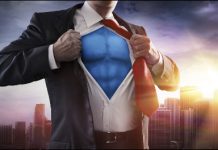 The Personal Mastery Program is a powerful complement to Tony Robbins’ Personal Power, especially when it comes to inner-engineering, building better habits, and changing how you interact and respond to the world and those around you. Lead the Field taught me how to make great things happen through focus and discipline. My mentor recommended that I listen to Lead the Field, by Earl Nightingale. I knew of Earl Nightingale, but I had never heard of this program before. The title threw me for a loop, because I thought it was about how to be a leader of consulting services and lead the folks in the field to victory. Well, it’s nothing like that, though you could use it for that. It turned out to be a very simple program for changing your attitude. Rather than think the grass is always greener somewhere else, grow a greener field right under your feet. It’s about leading from the inside out. I was surprised by how timeless Earl’s Nightingale’s advice is and he covers a lot in a compact way. My favorite take away from Lead the Field is a simple habit in the morning to keep taking your game to the next level. You effectively use your brain to come up with new ideas that can make a big difference, and you actually act on your best idea, in some small way. Over time, with sustained focus, relentless thinking, and little actions, you compound your effort into greater results. 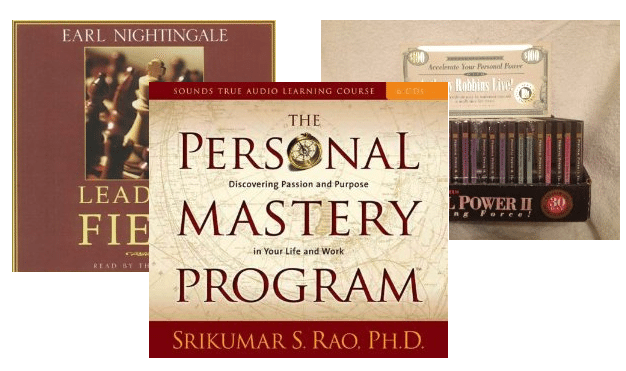 These are the three personal development programs I find myself turning to time and again, and recommending to others. They have served me well in each of their own, special ways. They are truly timeless classics and, in my experience, some of the best fundamental building blocks for life to help you master yourself, from multiple angles. I think you’ll also find that these personal development programs are better together because of the radically different styles that each brings to the table. Tony Robbins is someone I’ve read and heard before, but the other two are new to me. I’ll check them out. I have, of course, heard of Tony Robbins, I will have to check out the other ones. 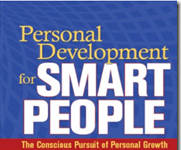 I’m always looking to learn more in the field of personal development. Mastering ourselves is an essential key for success! Earl Nightingale’s, Lead the Field, really surprised me. He presents a pretty simple formula for bringing ideas to life, that’s easy to buy into, and put into practice.